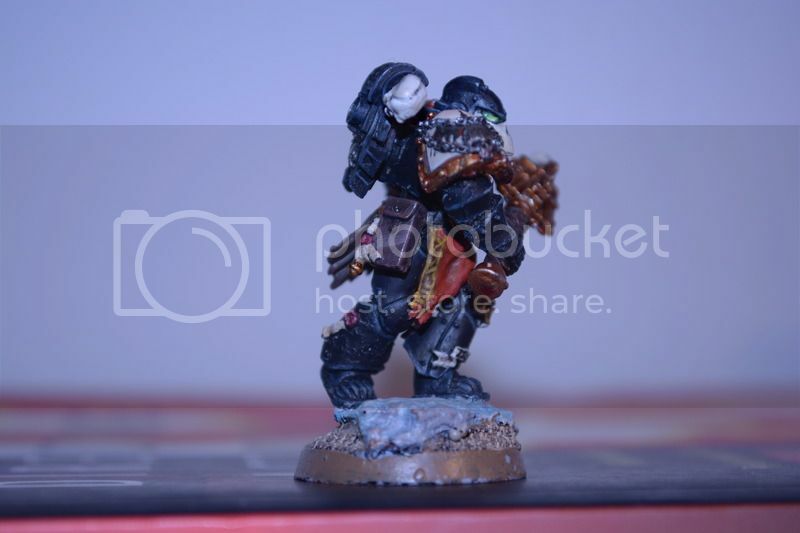 I noticed that there isnt any thread about miniature showcase so I thought about creating one to show the passion for the Blood Ravens, or to show how DOW has influenced you to bring it from the PC into the table top. 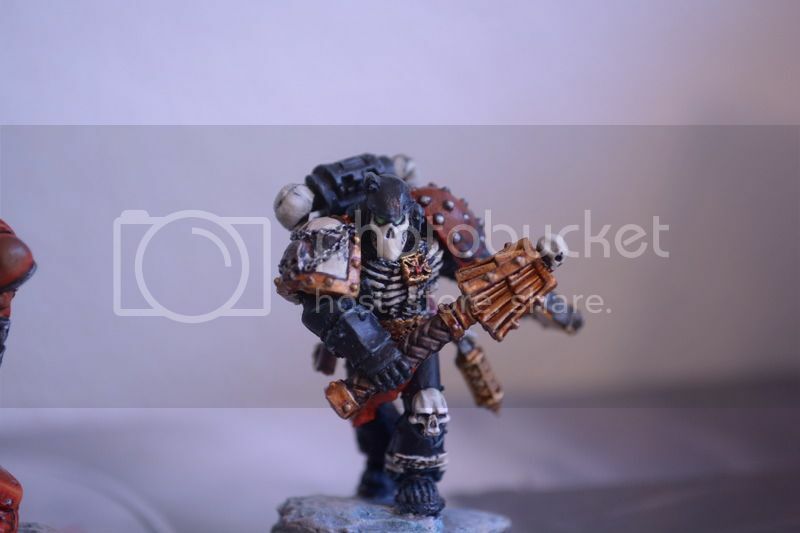 I personally have been collecting Blood Ravens and space marine figurines since I played with Captain Angelos in Dawn of war 1 back in 2004. 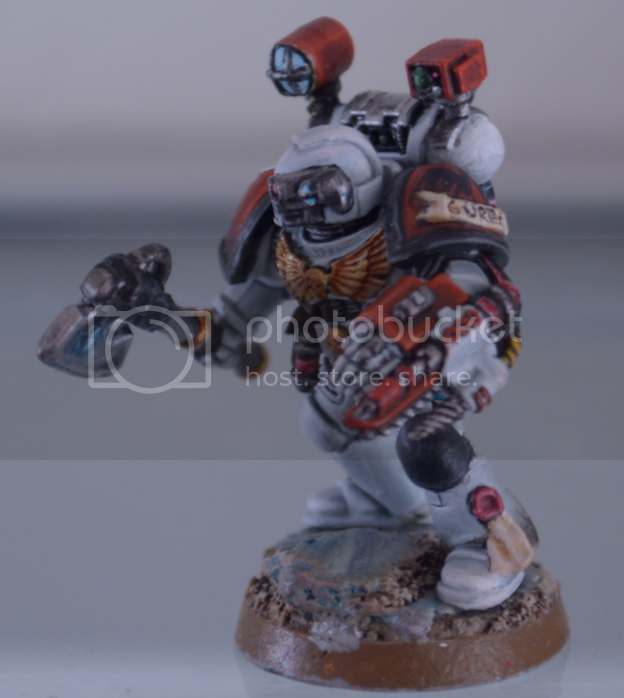 And even to this day I am still painting them. 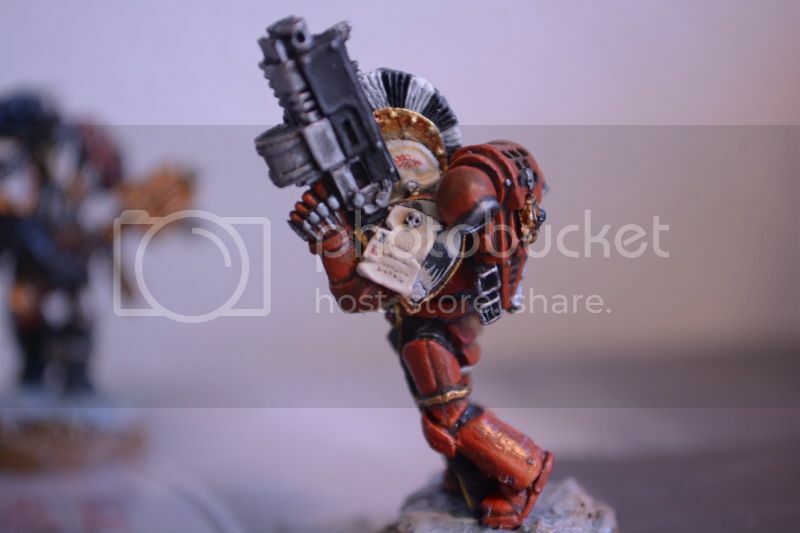 Hopefully with the release of DOW3 we may get another Blood Ravens official figurine! or perhaps a farseer macha figurine. Anyways I''ll start with Librarian Jonah. Oh, I am liking the colour scheme you have! 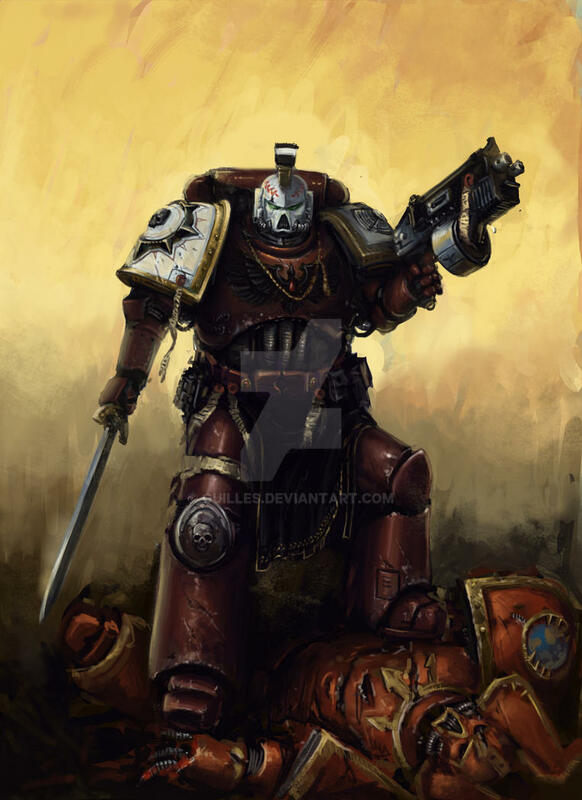 I cant be the only one that paints blood ravens in this place, can I? Show me something And I'll show you a tactical squad. loving the vidya scroll on the leg. Yes indeed! it was a cause of celebration! 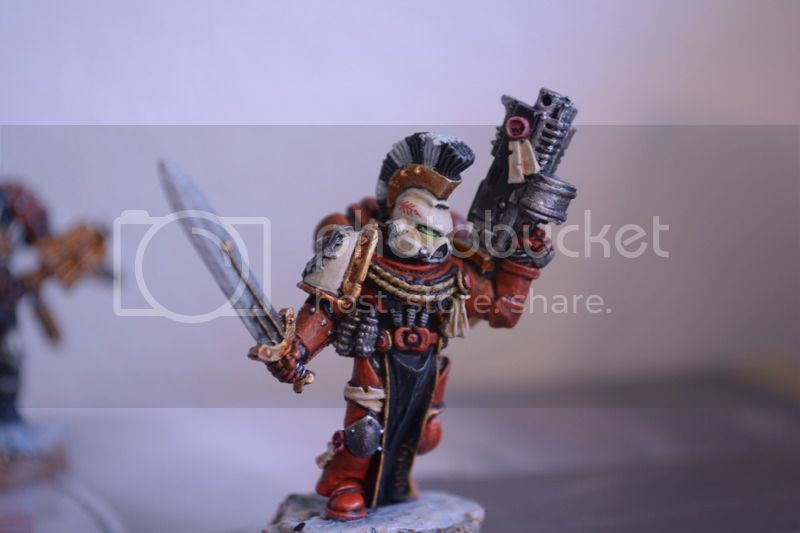 I went mad with joy when I heard that they would be releasing their first blood ravens miniature. Makes me wonder if Jensus will be mentioned or make an appeareance on the game. I must get another Jensus, the first one I gave him a helmet, so I need to have another without helmet. hahahah. Yeah, but that is stilla rumor isnt it? 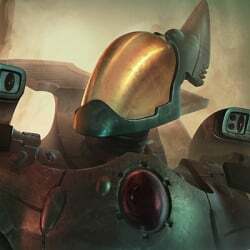 Never the less, I hope GW releases some more Blood Ravens with the new dawn of war 3. 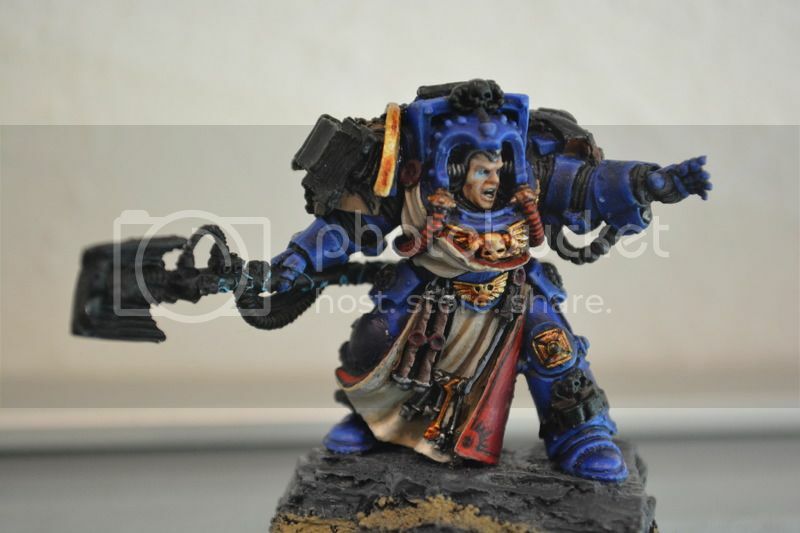 Specially a Gabriel Angelos figurine, that would be super cool. And or transfer sheets for Lady Solaria's Imperial Knight. 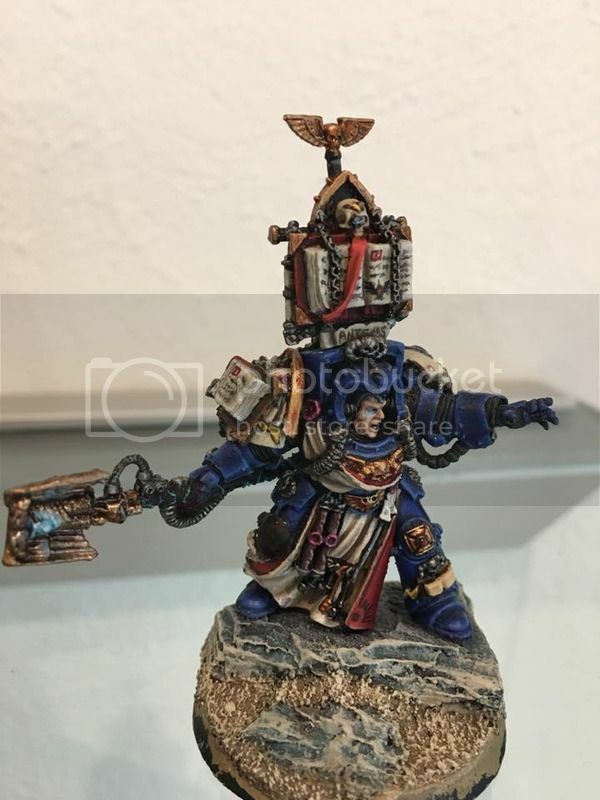 Well looks like Relic has done their greenstuff conversion of Gabriel Angelos. Now here is hoping GW gets do an official one when the game comes out to capitalize on it. 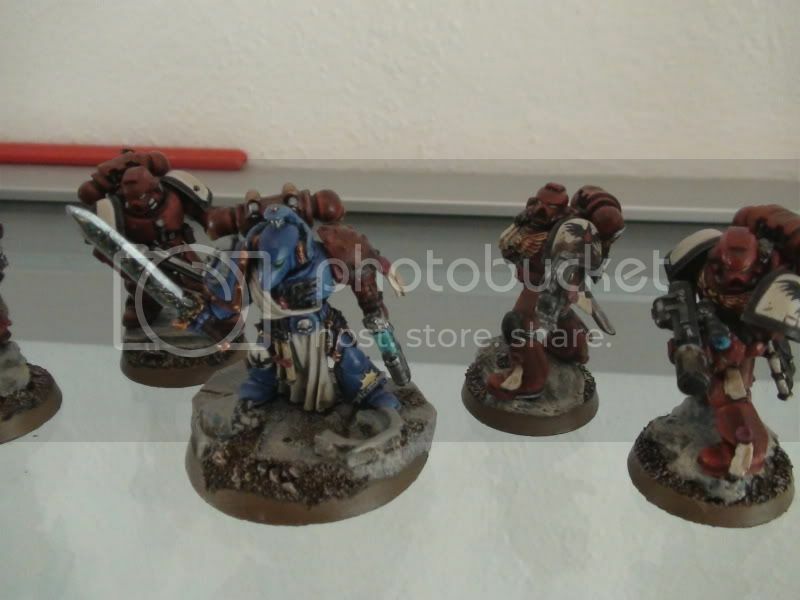 Anyways I am going to show here some of the stuff that I am currently painting and that is a Blood Ravens Terminator Librarian. 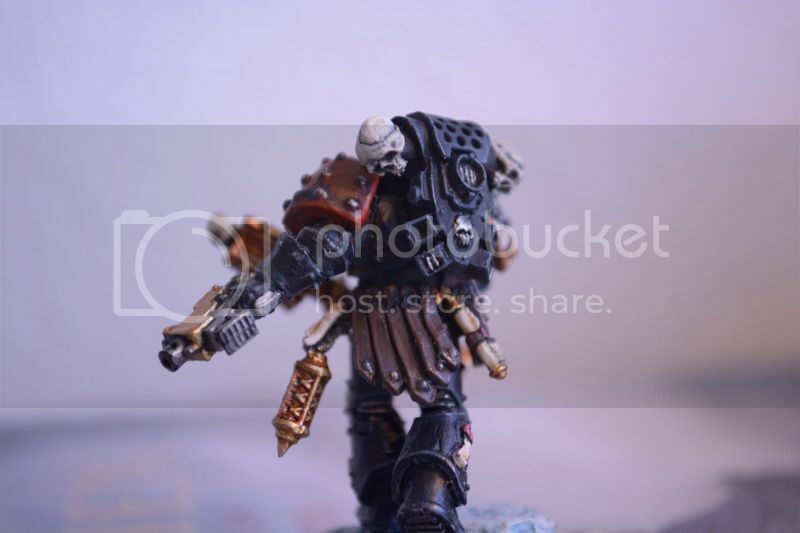 Altought I am still unsure on the color that the shoulder pads should have. What do you guys think? p.s. does anyone know how to insert images properly? I have been trying but I have been unsuccesful so far with everything. 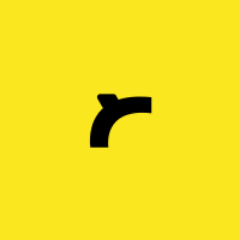 paste image url into the Attach toolbar icon. Otherwise quote someone that has an image displayed to see how it's done. 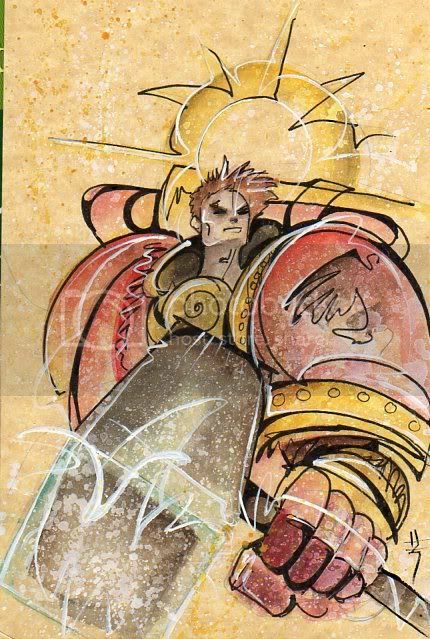 Example below of Relic's Gabriel Angelos conversion. 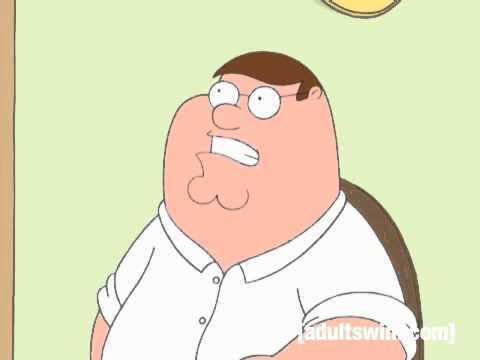 Man, that's awesome. 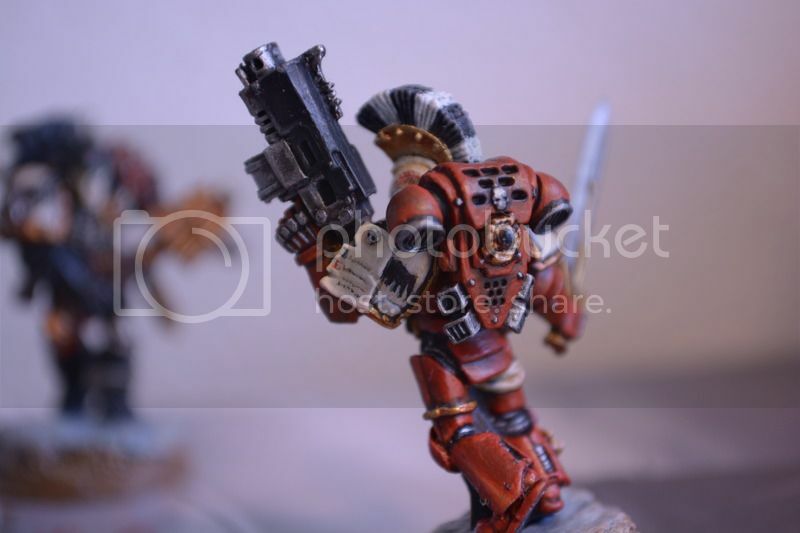 I love the Blood Raven's color scheme. Alright, here we go. 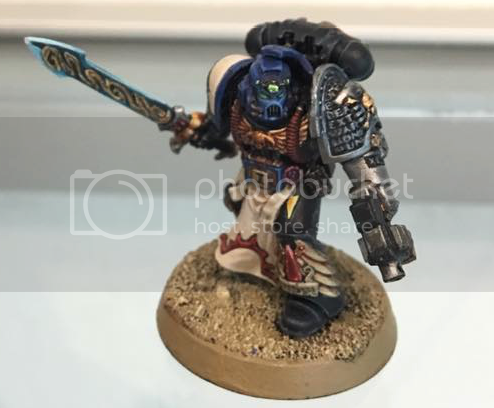 Posting my Veteran champion as test. Holy Emperor, it worked!!! HUhahaha!! These all look so great! One of the best parts of the job is sharing out all of your creations to the team. What can we say? 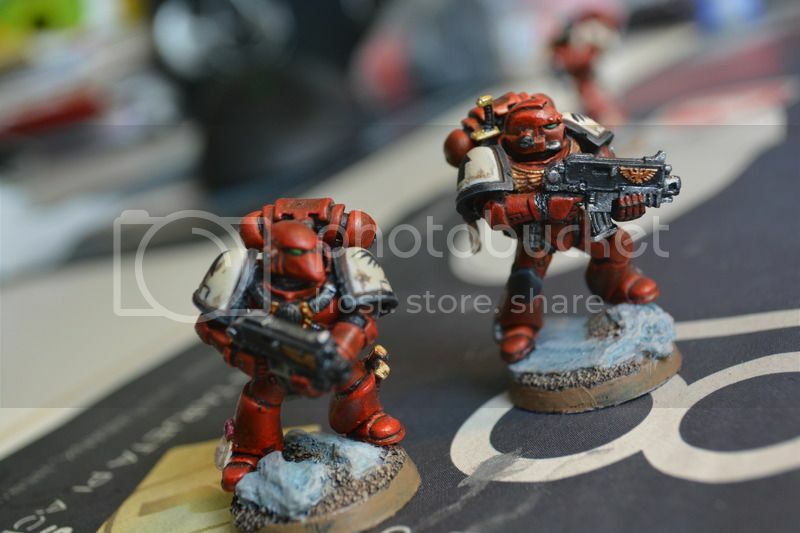 We love seeing the Blood Ravens come to life! oH Thank you! That is actually quite nice from you. I hope the team likes them, I sent them some cool fan art that I commissioned based on some of my models. Well after posting the following and if you show it to them then they will probably know of what I am talking about hehehe. But then again I could just post the pictures here. Also more pics of the other librarian and Jonah Orion and Anteas which is wip. 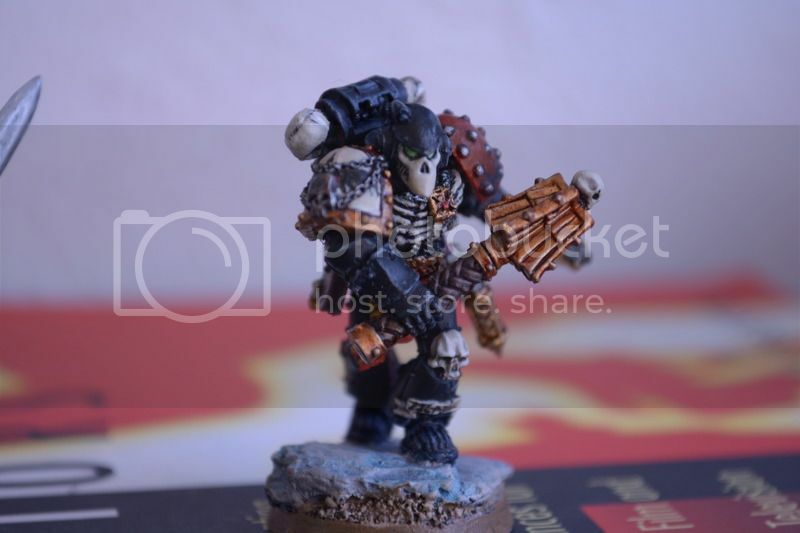 I like to paint and do the characters from the game, it is quite fun and when you are in tabletop it just adds an indescriptible feeling to the experience. Note: the marine at the right side of the librarian it's in the same pose as the tactical marine that used to be shown in the DOW1 covers. 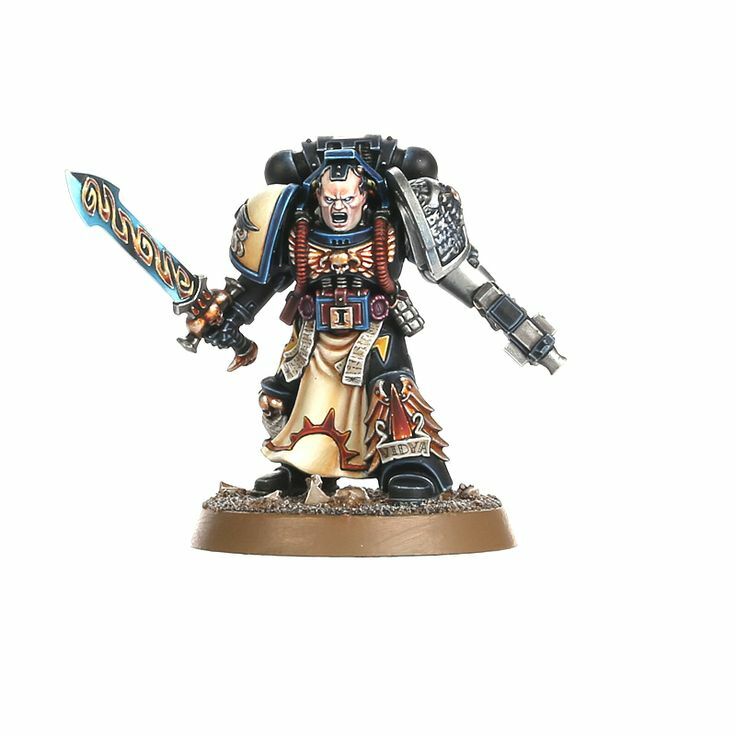 Well it could be online from the GW online store? ebay? the warstore? 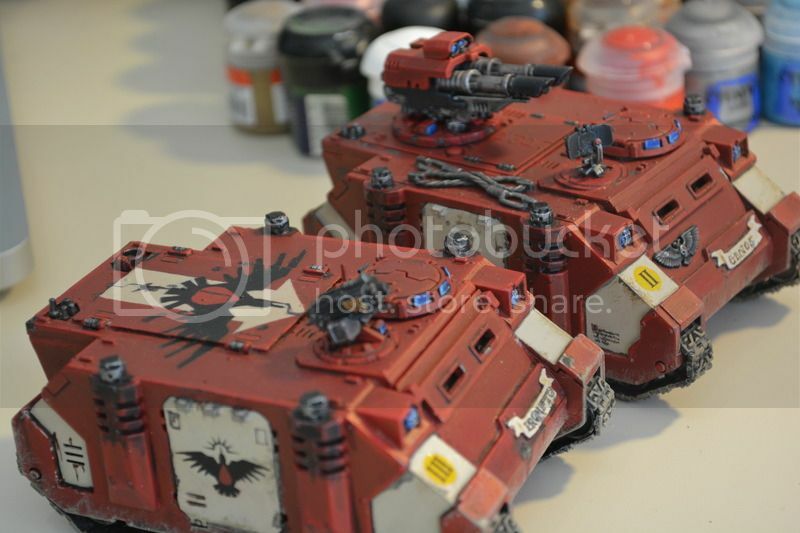 Alright, I know this arent miniatures but I am going to give you guys a treat. For the fans of Aramus that is. These I commissioned to some super talented Artists back in the day. I'll post some more later on. That's pretty cool! It totally captures his hair-etical awesomeness. I comissioned this pictures to a friend as a sort of fan art or illustrations for my special characters and heroes of my armie. They where also going to be part of a pitch bible but I doubt something bad would happen if I shared them with people, and what better place than here. These characters have their story, background and current adventure and place within the games lore etc... at least for me they do haha. I was thinking on sending it to BL and give it a shot as an experiment, since it sounds like loads of fun. And besides why not? 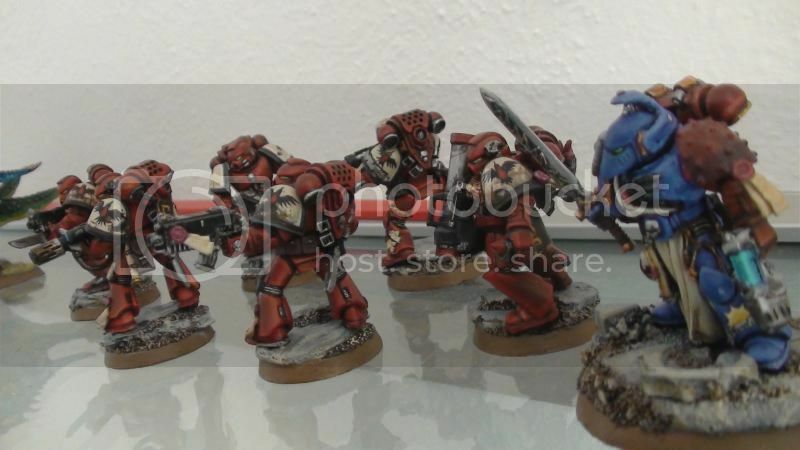 Now I want to create a Blood Raven army for the tabletop!!! really nice work m8, i really like your Veteran Champion. 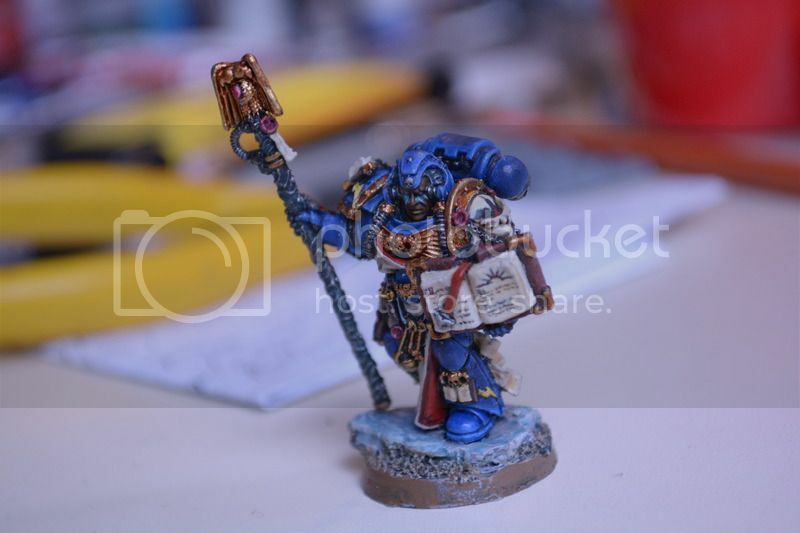 Well I finally finished Librarian antheas and my Jensus Natorian with helmet, now I need to get a version of him without helmet. Also I will run out of blood red very soon... anyone knows a good replacement? 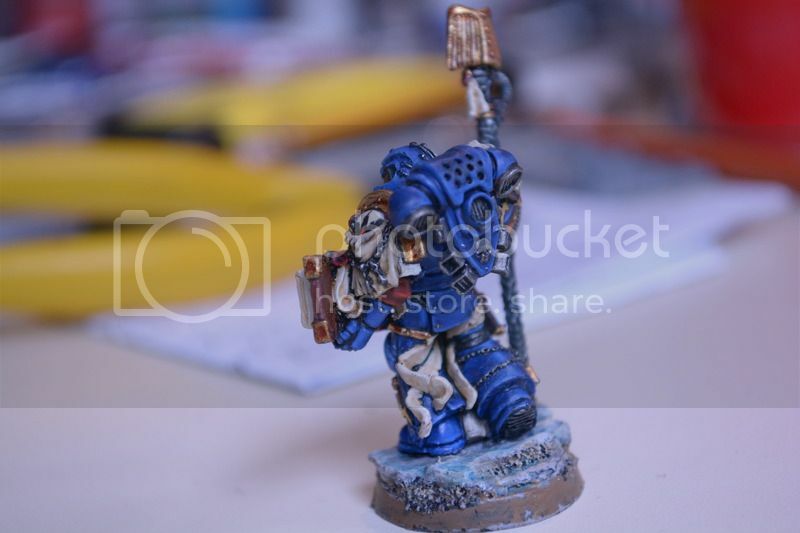 For advanced painters that is, because the painting guides that GW releases are more for begginers. 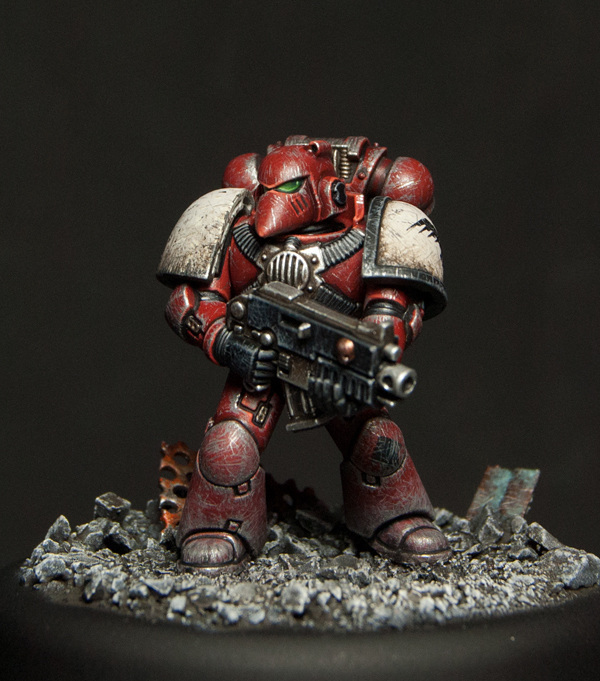 Amazing blood ravens paintjob which looks like those from DOW II by Knight-Errant. The worn out Armor looks fkn badass!!! Really realistic!! 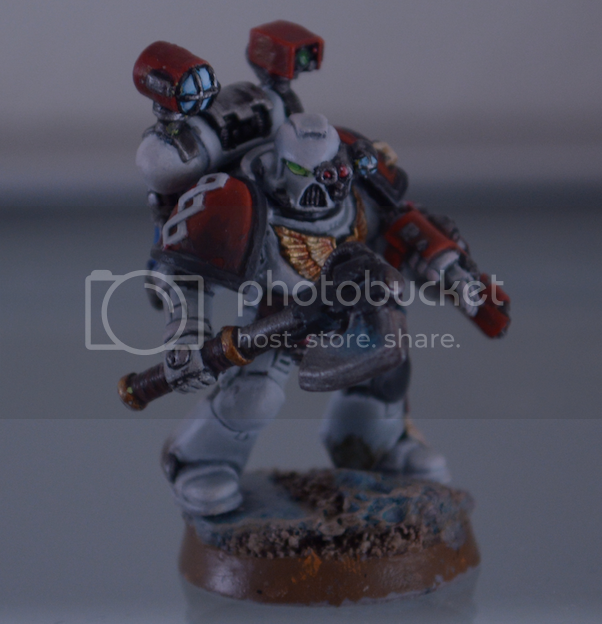 Do u have a Youtube channel with Painting Tutorial! If not you should make one and i`ll be your first Subscriber, lol! 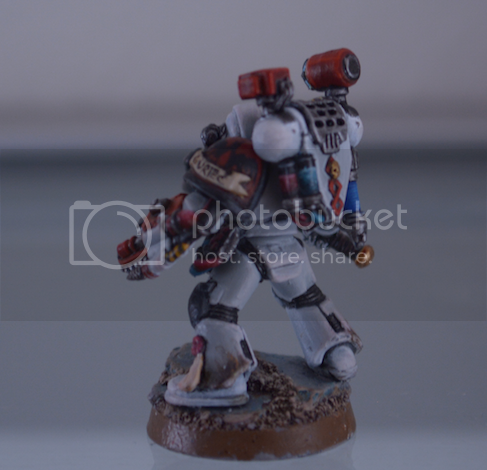 5th Company: silver chest " the fated"